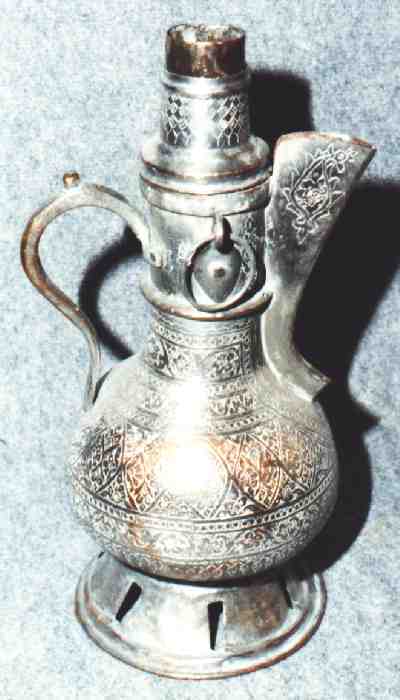 The metal and wooden things of the household were all produced by craftsmen of a city or an oasis. The brass tea can is a marvellous example of craftsmanship. The copper water can is more of the basic style. 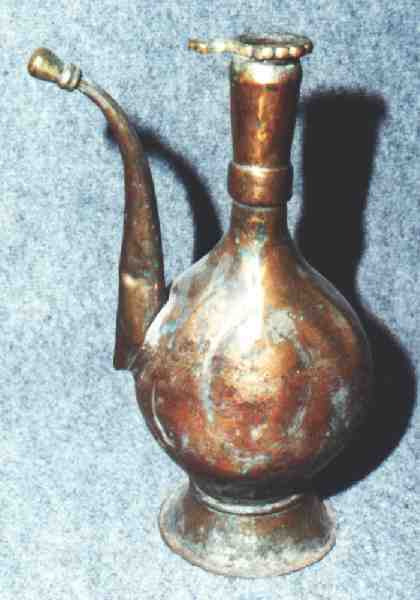 The samovar is of tin plated copper to give it the aspect of silver. 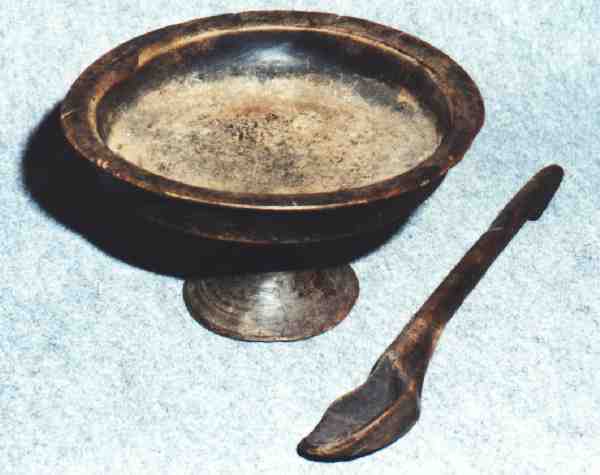 Wooden bowls were commonly used for the preparation of the meals. Earth ware is rare with the nomadic population because the risk of the transport. There were of course porcelain bowls for the tea (mainly of sovjetic provenience). 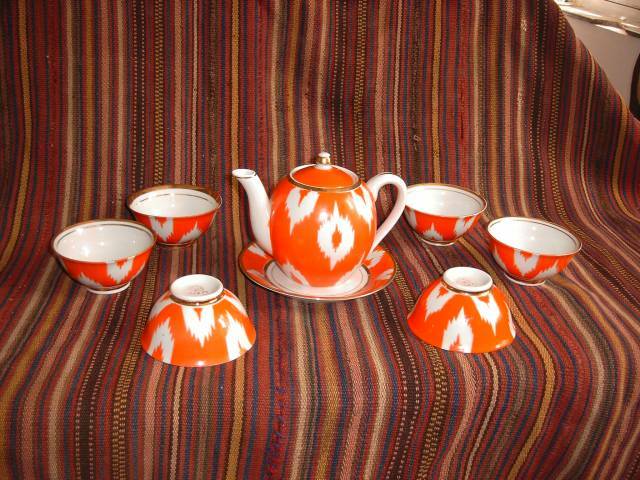 We finally found a tea set. But we don't know anything about it's origin yet. 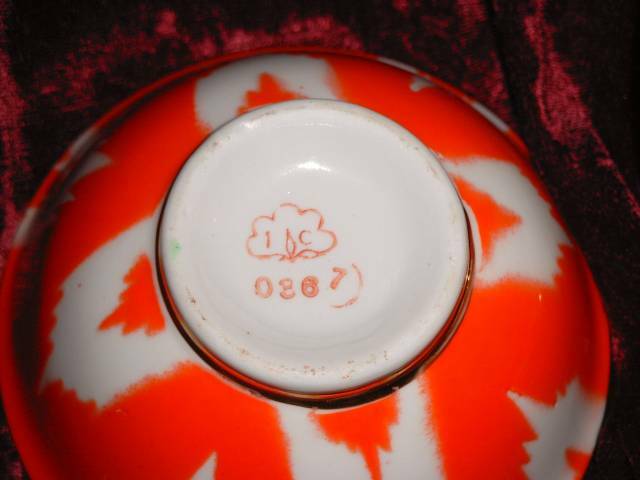 Please have a look at the stamp and write us an e-mail, if you have any idea. 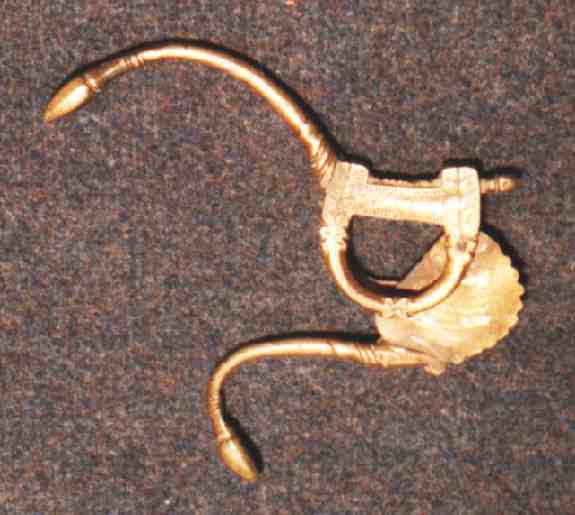 We were told that the awkward brass instrument was made to cut pieces of sugar cane, but we are not sure whether this is true. It may also have been made to cut pieces of chewing tobacco. 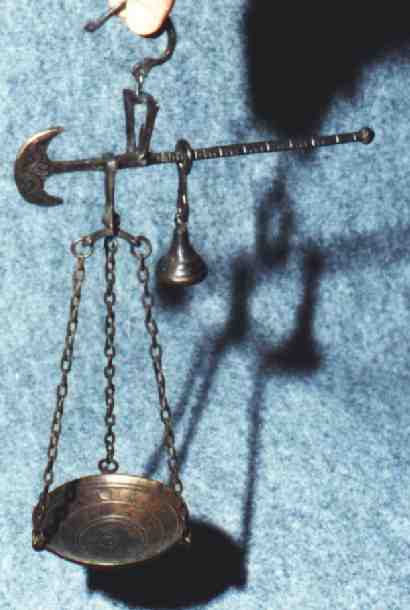 The scale may have been used to weigh the jewels.